During the Rhodesia era the police force then was called the British South Africa Police( BSAP). It was well trained, disciplined and efficient. More-so it had resources for use in combating crime. It would react quickly and was almost blemishless besides the old torture methods of investing a crime which was applied mostly racially. 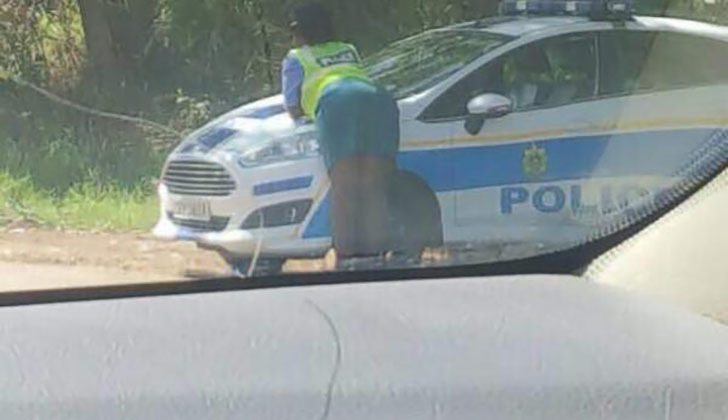 I believe the current Zimbabwe Republic Police (ZRP) is using the same training manual at Morris Depot in Harare that the Smith Regime police were using except that the governmental management systems have changed. We now have a politicised police force with police commissioners selected as per their Zanu-PF political party affiliation. The force itself is an employment factory for Zanu-PF members and those that play ball to corruption. We now have a corrupt force that tores the line for Zanu-PF whose members have become immune to prosecution. It is part of the rotten governing cartel. It is a known fact that there are people that have committed serious crimes but hold positions in public offices and can never be arrested because the police, the prosecution department and the judiciary service commission are captured, being held hostage by Zanu-PF. The ZRP have no budget, therefore have no stationery, no fleet of patrol cars to talk about or transport to react quickly to emergences. For an example Pumula Police Station has a staff compliment of 180 police officers with one out of order service vehicle and an operation parametre of almost 40 kilometres in length. The good part is that Zimbabwe has a generally low crime rate as compared to countrys like South Africa and Zambia, particularly in Matebeleland. If you report a crime and you have no transport or money to pay police officers, your case may never be solved. This is what Zanu-PF and its government prouds iitself in. big perks and extreme extravagance.